Media reports are speculating Walter De Gregorio was pushed out after making a joke about Sepp Blatter on Swiss TV this week. GENEVA: FIFA communications and public affairs director Walter De Gregorio stepped down on Thursday, days after making a joke on Swiss TV at the expense of the international soccer body’s soon-to-depart president, Sepp Blatter. His resignation came as the investigations into alleged corruption at FIFA continue to unfold. Last month, US authorities charged 14 people, including nine soccer officials, with allegedly orchestrating a long-running kickback scheme to enrich themselves. FIFA published a statement this morning that said De Gregorio "decided to relinquish his office with immediate effect." He has worked at FIFA since September 2011. 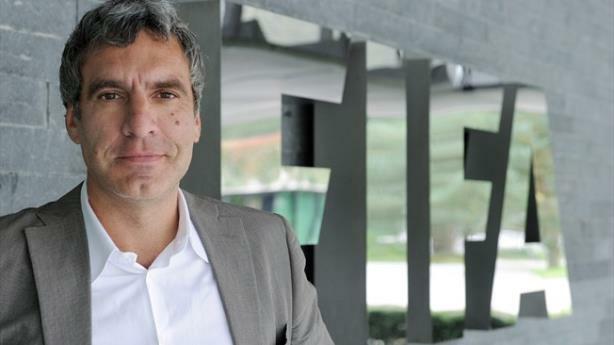 De Gregorio will stay on at FIFA on a consultancy basis until the end of the year; his deputy, Nicolas Maingot, has taken over in the interim. "[De Gregorio] has worked incredibly hard for the past four years, and we are immensely grateful for all he has done," FIFA secretary general Jérôme Valcke said, in a statement. "I am glad we will be able to continue to draw on his expertise until the end of the year." Some media reports have speculated that De Gregorio was fired for making a joke about Blatter on Swiss TV on Monday. "The FIFA president, Sepp Blatter, the director of communications, and the general secretary are all sitting in a car – who is driving? The police," he joked. It wasn’t the first time De Gregorio put his foot in his mouth. Last month, at an emergency press conference hours after FIFA officials were arrested, he described the FBI-led arrests of FIFA senior executives as "a good day" for the organization. Asked for his boss’ mood, he said Blatter was "not dancing in his office" about the arrests. De Gregorio’s attempt to downplay the arrests at the presser received a red card from PR gurus and news outlets. At the time, crisis communicators lambasted De Gregorio’s statements, tone of voice, and "arrogant" stance, as well as FIFA’s overall handling of the crisis on Twitter. De Gregorio’s resignation came one week after Blatter announced his own departure from FIFA. Blatter’s move took place just days after he won reelection to a fifth term, and followed reports that Valcke allegedly made $10 million from bank transactions that are a central part of the investigation into corruption at FIFA. Valcke is a top aide to Blatter. Before he departs, Blatter said he will work on "driving far-reaching, fundamental reforms." The organization’s leadership will meet next month to set a date for an election for Blatter’s successor.